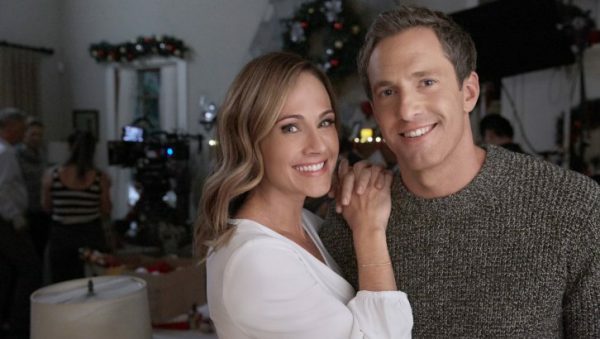 Tonight’s Hallmark Channel Countdown to Christmas movie, Reunited at Christmas, airs at 8pm/7c starring Nikki DeLoach and Mike Faiola. 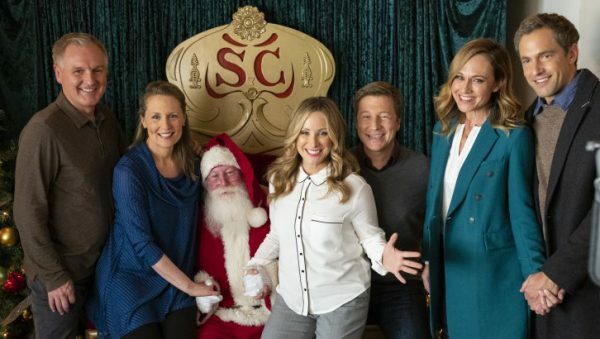 The movie is about Samantha Murphy’s (DeLoach) beloved grandmother plotting from beyond the grave to bring the family together for one more hometown Christmas, during which everyone is reminded of the importance of family, love and second chances. When Samantha’s boyfriend, Simon (Faiola), proposes marriage and she accepts in front of her entire family, Simon is forced to play out an uncomfortable charade when Samantha admits she spoke too soon. Part of that plot involves grandma’s gingerbread cookies. Since I already posted my own grandmother’s gingerbread cookie recipe in a previous Countdown to Christmas movie (find the recipe here), I decided to post a couple other gingerbread ideas. This is a gingerbread house I made at a Christmas workshop several years ago in Disney World with my daughter Kristina. 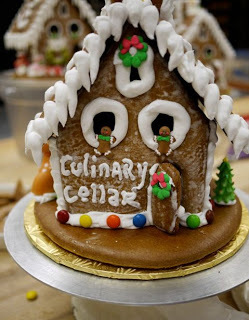 We had a blast, and of course I had to make a Culinary Cellar house! 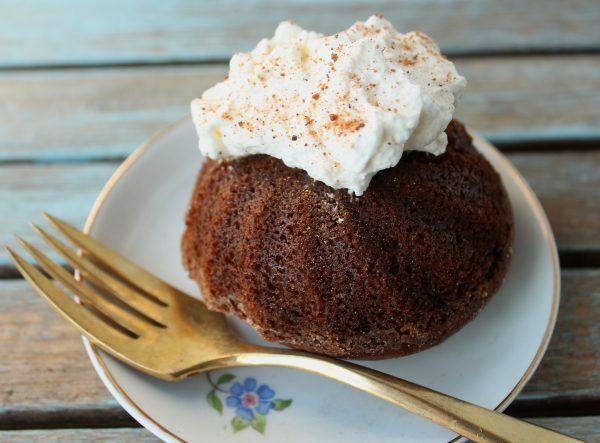 This delectable dessert is Mini Gingerbread with Rum Whipped Cream. So delicious and very festive for the holidays! Find the recipe here. 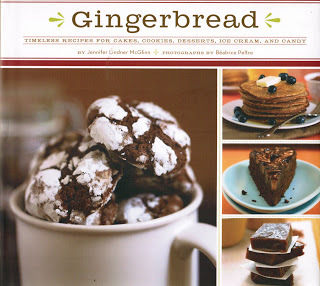 If you really love gingerbread in all its forms, find this cookbook. It’s wonderful. Read about it here. Enjoy the movie tonight! Is everyone cooking for Thanksgiving tomorrow?